RnD Fabrication is proud to announce our line of 1947-1954 Chevrolet & GMC Pickup Truck & Suburban Custom Downflow Radiators! 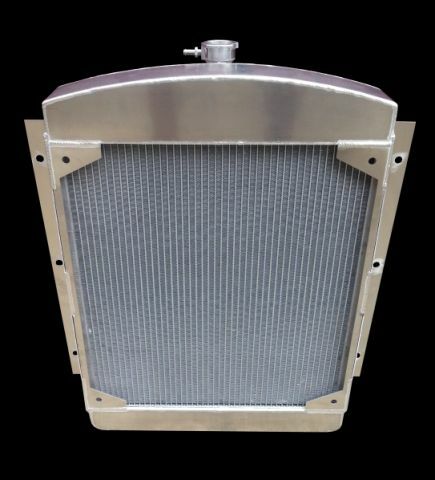 The basic price of this radiator is $450.00, and we can add our shroud and electric fan kit for an additional $240.00 if desired. We also offer a thermostat switch for $75.00. Standard layout is with fill neck is on top and upper tank made flat with notched corners (contact us or note on order if you wish to have the fill neck off the back vertical face and / or if you need the upper tank to be radiused). Note that the Chevy version has vertical mounting flanges, while the GMC has angled mounting flanges. All of our radiators are built with mounting tabs for our shrouds, meaning you can always add the shroud and fan kit later if you choose. If you have installed a non-original motor or conversion engine, please let us know prior to ordering so we can place the inlet and outlet on the correct side of the radiator. We also build all of our radiators for the popular LS / LSx swaps! It is a bolt in for the any conversion! We put the correct size inlet and outlet on the passenger side along with a steam port if requested. There is no additional charge for building them for conversions. Note that this radiator is built for the V8 core support. 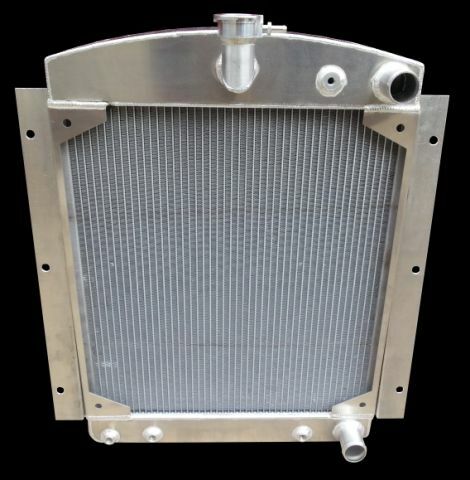 If you have a six-cylinder core support, you will need to contact us before ordering. Please make sure that you read and understand our Company Policies prior to ordering.